Aladino Corojo Reserva Cigars - Buy Premium Cigars Online From 2 Guys Cigars . 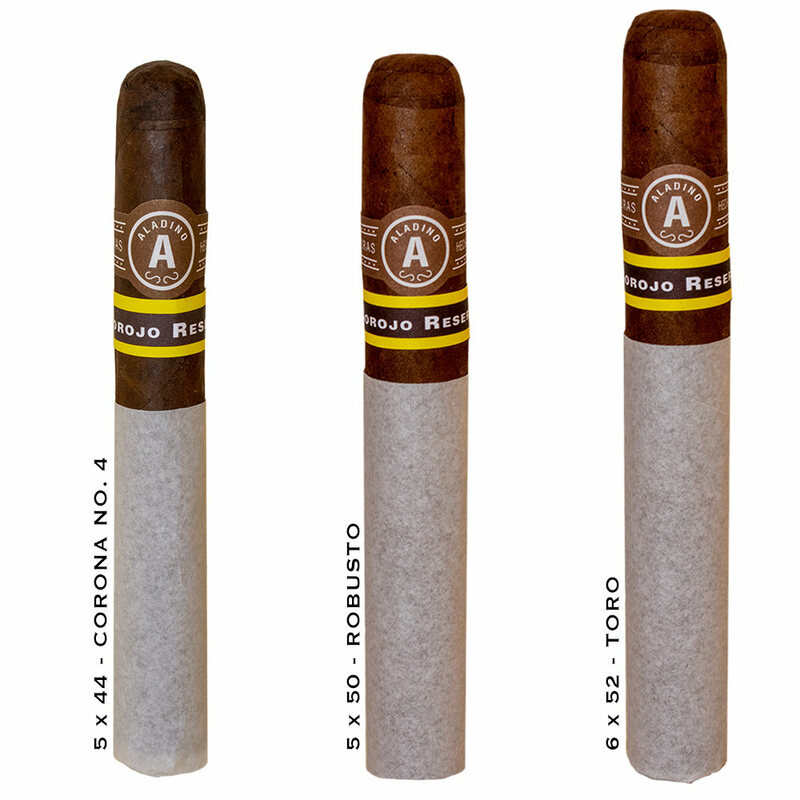 The Aladino Corojo is available in one size and it comes to us from the JRE Tobacco farm. Blended by Julio and Justo Eirora the cigar has an old school feel to it with a band and box from the glory days of Honduran tobacco. This Corojo Reserva is limited to only 400 boxes made per month and is made of 100% Authentic Corojo tobacco. The blend which is 100% Honduran features Corojo utilized the corona leaves at the top of the tobacco plant in the filler of the cigar. It's a cigar that is exceptionally smooth and balanced with hints of subtle spices, coffee and cedar.